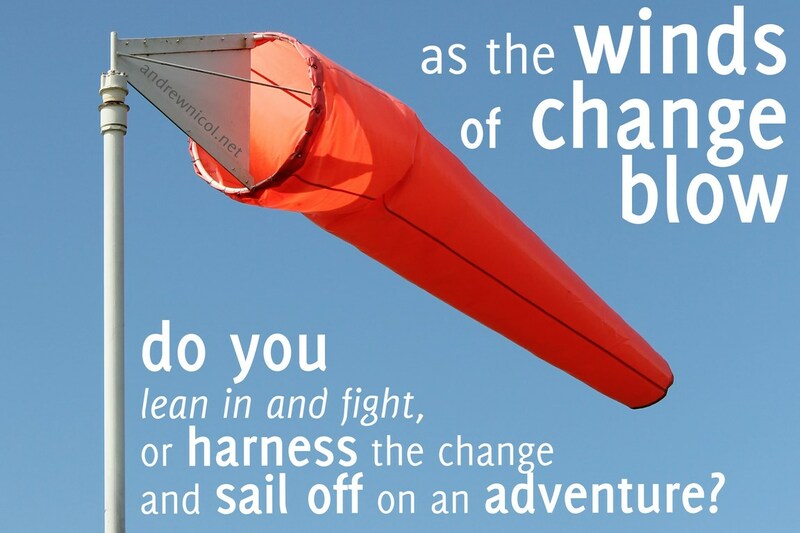 Change is constantly upon us, and the winds of change are always blowing in our lives. So often we lean in against the change. Fight it. And burn a heap of energy trying to get back to where we came from. Usually, in the end, the change forces us there anyway, and we arrive there beaten and bruised and worn out. When we fight change hard, we actually miss the opportunity to share in the adventure and journey of the new direction. go with it and head off on the adventure!